Synopsis: It all starts when six kids are sent to a room for a weekly chat – by themselves, with no adults to listen in. At first they fear this new unfamiliar and wonder what on earth they’ll even talk about. But in the place they dub the ARTT (“A Room to Talk”), they discover it’s safe to discuss stuff they usually keep private. A father has recently gone missing, and that starts a conversation about the things causing angst their lives, from racial profiling and fears of deportation to a deep yearning for family history and a sense of belonging. When the six of them are together, they find they can express the feelings and fears they usually hide from the world. And together, they can grow braver and more ready for the rest of their lives. With her always honest, lyrical writing, acclaimed author Jacqueline Woodson celebrates the power of friendship, open-minded dialogue and empathy. Harbor Me digs in deep to show how so many of America’s social issues affect today’s kids — and they creatively learn to forge their way in spite of them. Jacqueline Woodson’s Harbor Me is a powerful and timely book that is soulful and moving. Her first-person narrative is intimate and perfect for this poetic story. The setting, the characters, the plot and the imagery are brilliantly intertwined to create an exceptional experience for readers. They will feel the awkward silence of being in an unfamiliar place with six diverse students with only one rule — to treat each other with respect. Otherwise, they can talk about anything. Woodson’s focus on 5th and 6th graders is perfect, because it is such a transitional time in the lives of kids. They want to be cool, but still have an urge to play with Nerf water guns and American Girl dolls. The boys voices haven’t deepened. There are no boyfriend/girlfriend relationships. They are six students who develop a lasting bond because they are able to share their secrets, feelings and fears in an honest way. They become best friends. The characters, two girls and four boys, are memorable. Their backgrounds differ, but each one has a story to share in a place with a group of friends where they feel safe and supported. Twelve-year-old Haley narrates. She is bi-racial and longs for a real family life. Her mother was killed in a car accident, her father is in prison and her uncle cares for her. Her best friend Holly is fidgety and has trouble censoring herself. Esteban’s father is an undocumented immigrant who is taken from his job. Esteban is desperate to find out news of his father’s whereabouts and what it means for his family. Ashton is the only Caucasian in the group and is bullied by older students who call him Ghostboy and Paleface. Amari hides behind his artwork, but shares his feelings about racial profiling. Tiago is from Puerto Rico and speaks Spanish and English. His puppy dies and he struggles with feeling at home in America. This is a celebratory book of the human spirit for six young people coming of age. The plot is distinctly realistic, honest, brave and complicated. It tackles relevant topics young people deal with daily. During their Friday group discussions, they learn to be vulnerable, build trust, listen without judgement and be sensitive each others challenges — a recipe that allows kindness, empathy and freedom to blossom. I highly recommend this novel. It belongs in school libraries as it is an important classroom discussion book. Jacqueline Woodson is the 2018-19 National Ambassador for Young People’s Literature. She received the 2018 Astrid Lindgren Memorial Award and the 2018 Laura Ingalls Wilder Award. Her memoir Brown Girl Dreaming won the 2014 National Book Award and was a NY Times Bestseller. Her adult novel, Another Brooklyn, was a National Book Award finalist and an Indie Pick in 2016. Jacqueline is the author of nearly thirty books for young people and adults including Each Kindness, If You Come Softly, Locomotion and I Hadn’t Meant To Tell You This. She lives with her family in Brooklyn, New York. Opening: It’s a well-known fact that everybody has their own little world! Synopsis: A little world is any place where a child’s imagination is free to blossom. When Pablo wants his own space, he climbs into his treehouse and listens to the birds singing. Marion likes to crawl into a tent in her living room and build castles with her cat. Frank and Melvin retreat to their grandfather’s workshop and invent things. Clara dreams of stars and galaxies. Martin wears his knight outfit and takes on dragons. Books carry Lili to far-away places. Marek and Simon play on a wall in a war zone and dream of a world without war. Géraldine Collet book shows a diverse group of children in their own self-constructed little worlds as they explore and freely play, develop their own identities, and learn to understand others. It is ideal for kids who just want to play, have fun or dream about possibilities. Sébastien Chebret’s warm and colorful illustrations are both playful and pensive. Collet’s book invites lively conversations between children and their parents. Parents will find her book nostalgic as they remember their favorite places to imagine, create, and dream. I think of my brothers heading to the creek and woods to explore the world, while I climbed to the tops of trees and sang my heart out. What a special way to listen and discover your child’s favorite places to dream and play. And it’s an opportunity to share your favorite memories together. When you listen, you encourage and your child to explore, experiment, imagine and pursue their different passions. Resources: There is a “Note to Parents and Caregivers” by Julia Martin Burch, PhD, with more information on ways to encourage your child’s imagination and identity, while also fostering a sense of empathy for others. Synopsis: A child wonders why they are here, living the life they do. They could be on the other side of the globe living a very different life. Would they have been a different person? What if the lived in a city with millions of people? What if they lived in a place where there was a war and had to hide? What if they were a refugee on their way to an unfamiliar place? What if they lived where there were deserts, floods or earthquakes? Is the child meant to live in some other place or are they right where they are supposed to be? Constance Ørbeck-Nilssen has written a beautiful and quiet book for children who like to think big thoughts. 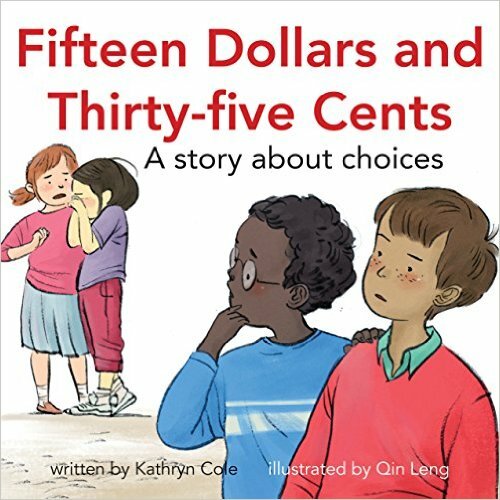 It is a thought-provoking and contemplative story where the child imagines how different life would be if they lived in a variety of settings with a different family. The text is sensitive and powerful. I fell in love with the book when Patricia Nozell reviewed it on her website, Wander, Ponder, Write. It would have been the type of picture book that would have touched my heart and tickled my curiosity as a child. Like the child in the story, I was introspective and pondered many of the same big questions. The story is written in first person, with the child narrating. The story doesn’t identify the gender of the child. The child’s soft facial features, light brown skin and shaggy hair allows both boys and girls to identify with the character. Akin Duzakin’s dreamy illustrations are rendered in pencil and soft pastels which soften the harsh realities of a world of homelessness, children working in an underground mines, war, refugees and natural disasters. They evoke compassion from readers, but also convey warmth and hope at the end. Resources: This is a good introduction book about the different lives children live in other parts of the world. It could lead to many interesting discussions between children and parents. It will also give kids a better understanding of their place in the world. Today I’m sharing three books of the new I’m a Great Little Kid series, co-published by Second Story Press and BOOST Child Abuse Prevention & Intervention. 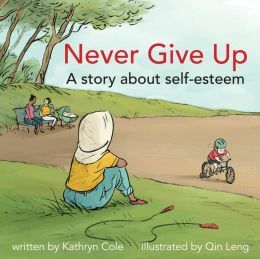 Never Give Up, Reptile Flu and Fifteen Dollars and Thirty-Five Cents, are the first of six planned picture books for kids aged 5-8 to teach important lessons about communication, self-esteem, and self-confidence. Many of the same characters appear in each book. 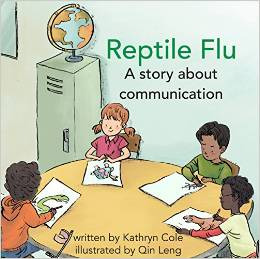 Written by Kathryn Cole with colorful illustrations by Quin Leng, the series will have a Facilitator’s Guide, which will be published with the final book in the series. This is an important series that can be used to teach character education in the classroom. Synopsis: Nadia looks on as her friend, Shaun, struggles to ride his bicycle in the park — with training wheels. A group of kids laugh and tease Shaun about riding his “tricycle” and watch him take a spill. Shaun picks up his bike and tries again and again, each time crashing. Nadia feels badly that she isn’t a good friend and doesn’t stand up to the taunting, but she offers to help him. Determined to not to give up, Shaun manages to impress his friends, win their respect and feel like a king. Synopsis: Kamal is studying reptiles at school. His teacher announces a surprise class trip to visit a reptile show at the museum. Everyone cheers, except Kamal. He’s terrified of live reptiles, especially snakes. But he’s even more afraid of admitting his fear to anyone, including his teacher. What if his friends tease him? He unsuccessfully tries to get out of the trip by telling his parents and sister about his fear, but they are too busy to listen. At the last-minute Kamal finds a way communicate his fear with surprising results. Synopsis: Joseph and Devon are good friends at school. Joseph spots money on the playground and yells to Devon, “I’m rich!” Joseph wants to keep the money, “finder keepers.” Devon thinks someone may have lost the money and wants to take it to the office and help find its owner. They spot Claire and Lin searching the playground; Lin was crying because she lost her money. During class, the teacher asks why Lin is so sad. Joseph shoots Devon a look to not tell. Will Devon be able to convince Joseph to do the right thing? Kathryn Cole has spent a forty-five-year career in children’s books as an illustrator, art director, editor, designer, and publisher at Scholastic, OUP, Stoddart Kids and Tundra Books. Her experience along with 13 years of volunteering for BOOST give her a strong understanding of the issues children face every day. She is co-managing editor at Second Story Press in Toronto. Qin Leng has illustrated a number of children’s books. She was born in Shanghai, China and lived in France before moving to Montreal. She always loved to illustrate the innocence of children and has developed a passion for children’s books. She has created art for many award-nominated picture books.